← From Geneva to New York! 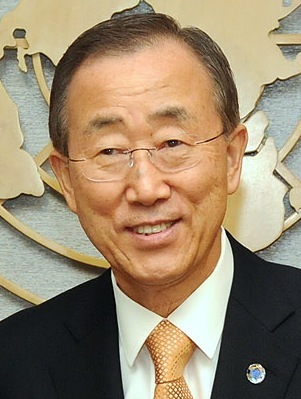 “I am counting on your continued leadership and engagement,” United Nations Secretary-General Ban Ki-moon wrote in a personal message to the over 5,000 students gathering for the National Model UN (NMUN) conference in New York City today. Thirty students from Pace University’s New York City Model UN program, along with a delegation from the Pleasantville campus program, will participate in the conference this week, themed “Hope for Lasting Peace.” Student delegates will engage in simulations of United Nations deliberations, including on the controlling the arms trade, protecting human rights, encouraging sustainable development, and promoting gender equality. This entry was posted in News and tagged Ban Ki-Moon, Hope for Lasting Peace, Model UN, Model United Nations, MUN, National Model United Nations, New York, NMUN, NMUN NY, Pace University, Pleasantville, Secretary General, UN, United Nations, Young people, Youth. Bookmark the permalink.